Integrated with your ERP, DocLink makes it easy for organizations to go paperless. Paper documentation puts your business at risk, increases costs, and it makes it more difficult to communicate across departments. DocLink makes it possible to reduce data input and automate the management of incoming and outgoing documents. 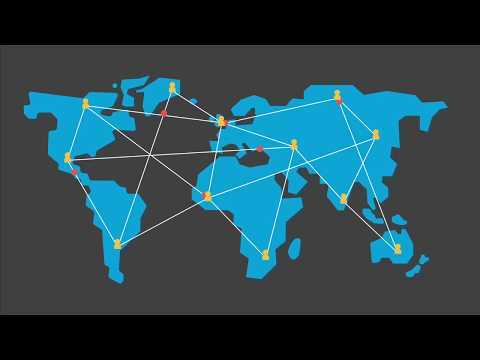 You can manage the full document lifecycle in your business - making information easier to share, eliminating lost and misplaced documents, streamlining data entry, approvals, and delivery while ensuring seamless integration with your ERP and other business systems, ultimately providing better a customer experience with everything you need at your fingertips. DocLink connects people, processes and data to help organizations go paperless, enabling users to fully utilize and enhance their Sage ERP to automate any document-intensive process and go digital in AP, AR, Sales Order, Contracts, HR or any department across the entire enterprise. Managing processes and transactions digitally will provide your organization with quantifiable ROI and competitive advantage. Go paperless at your company, and reap productivity and efficiency rewards with DocLink. The overall impact of processing, handling and storing paper documents in the workplace is astounding from a financial, environmental and resource perspective. Not only can the inefficiencies of paper-based bottlenecks be cumbersome on day-to-day operations, but the improper storage or loss of these documents can cripple or devastate a business. DocLink allows companies to go paperless to work more effectively and efficiently. You’ll gain visibility to documents electronically to better serve your customers, get invoices paid in a timely manner and make auditing a breeze. Store them electronically so they can be instantly accessed from the desktop – but only by users with the appropriate security rights. Documents are stored electronically in the repository where they can be easily retrieved, routed for approval and automatically outputted in the preferred format. Is printing, storing and shipping documents getting expensive? Route them electronically - eliminate costs associated with storing, printing and sending paper documents and save time that is normally spent waiting for approvals or searching through file cabinets. Have to search through files for related documents? DocLink allows you to instantly see all documents associated with a particular order, vendor, customer, etc. and automatically send the ones your customer needs in the delivery method they requested. And with the Smart Form Toolkit, you can customize your own “Smart Forms” to minimize data entry and streamline processes like Expense Reporting, HR Onboarding, Credit Card Processing, and New Vendor Requests – just to name a few. Does it take too long to get approvals? Set up automatic email notifications and the ability to approve documents remotely from a mobile device. When you take paper out of the equation, and you’re equipped with the right tools, the opportunities for improved efficiencies are endless! Whether it’s the AP process, sales order processing, HR On-boarding, expense reports – you name it, and we can show you how to do it more effectively. 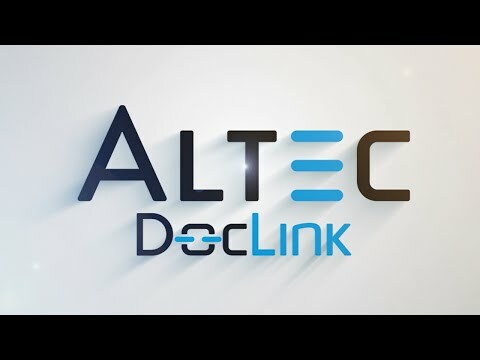 Interested in learning more about how Altec can transform your current document management procedures? Click below to get in touch, ask a question, or schedule a demo.